Chicken Bharta was prepared last weekend in our lunch. The recipe is Punjabi inspired Bengali dish. 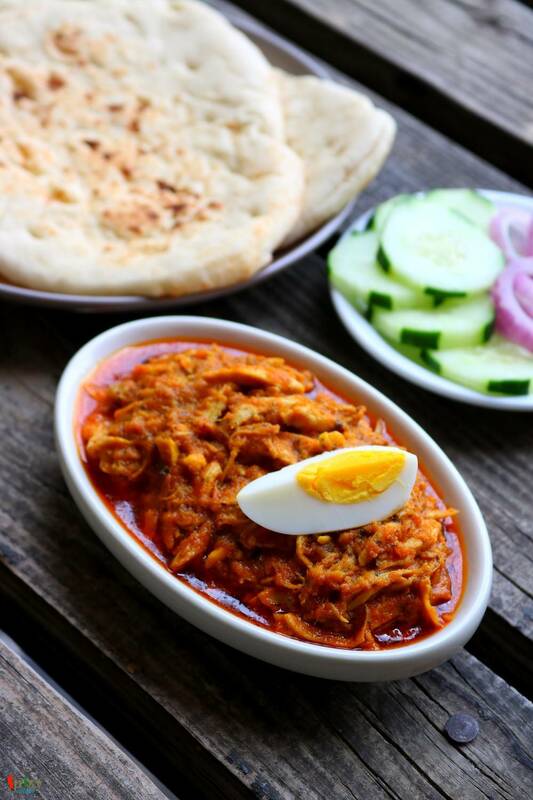 A very tasty shredded (pulled) chicken preparation which is famous throughout India. It has onion and tomato based gravy with beautiful flavor of kasuri methi and Garam masala. Of course, how can I forget about the Boiled Egg? 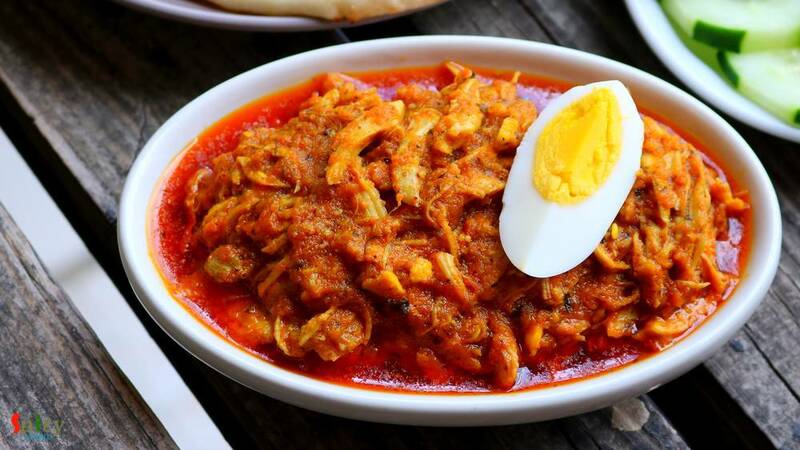 To make an excellent Chicken Bharta you have to finish it off with boiled egg yolk. In Kolkata it's a frequently ordered dish in restaurants. To bring that exact flavor of restaurant I have used 'tandoori masala', believe me, do not skip this masala because it will definitely give the taste a big uplift. Chicken bharta goes very well with any rice preparation or naan, kulcha. 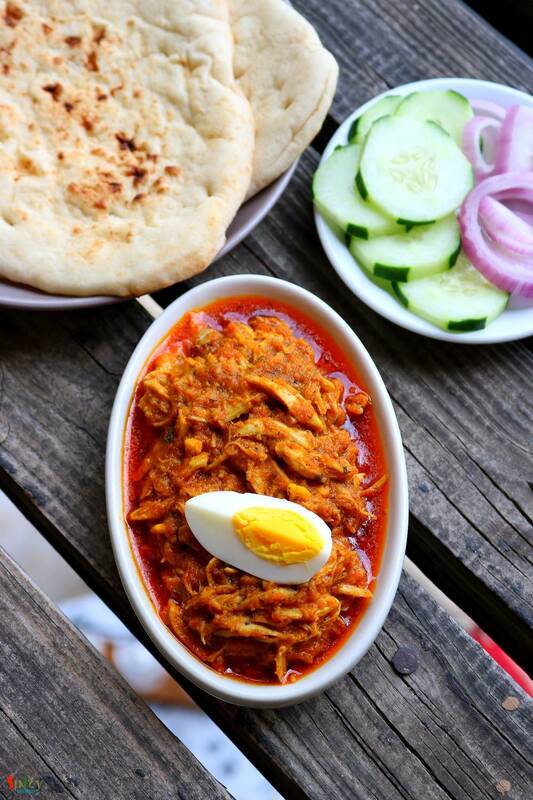 But pair it with some naan or plain roti to enjoy it's authentic flavor. 300 grams of chicken ( boiled and shredded). 1 and half cups of chicken stock. 1 medium onion (roughly chopped). 1 small tomato (roughly chopped). Spice powder 1 Teaspoon of each (turmeric powder, red chili powder, kashmiri chili powder, tandoori masala, garam masala powder). Whole spices (1 small cinnamon stick, 3 cloves, 2 green cardamom). 5-6 Tablespoons of cooking oil. 2 Tablespoons of kasuri methi or dry fenugreek leaves. Yolk of 1 hard boiled egg. Heat oil in a pan. Add all of the whole spices. Saute for few seconds. Then add ginger garlic paste. Cook for 2 minutes on low flame. Make a smooth paste of onion, tomato and soaked cashews. Add the paste to the oil. Cook for 7-8 minutes on medium flame. Next add all of the spice powder and salt. Mix well for 2-3 minutes. Beat the yogurt with little sugar. Then add the beaten yogurt to the pan. Mix well for 5 minutes. Then add the chicken stock, mix well and cook for 10-15 minutes on medium flame. Lastly add egg yolk, kasuri methi and heavy cream. Mix well and turn off the heat. 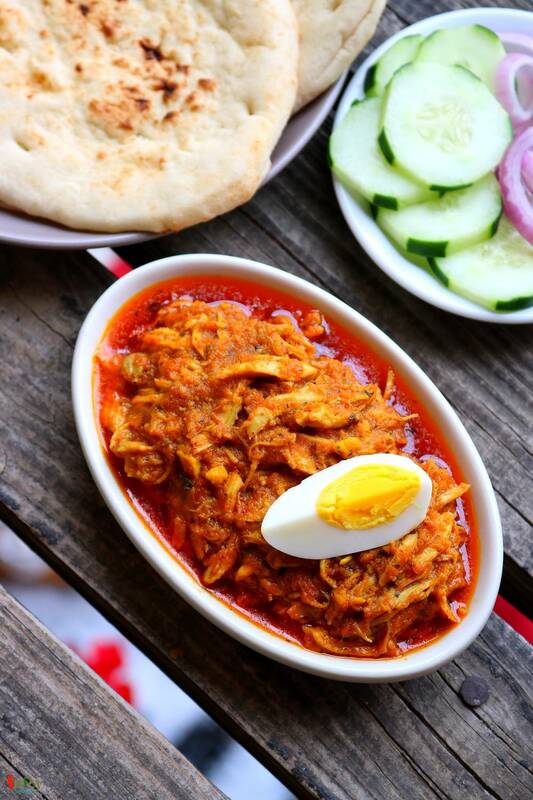 Your chicken bharta is ready to serve.